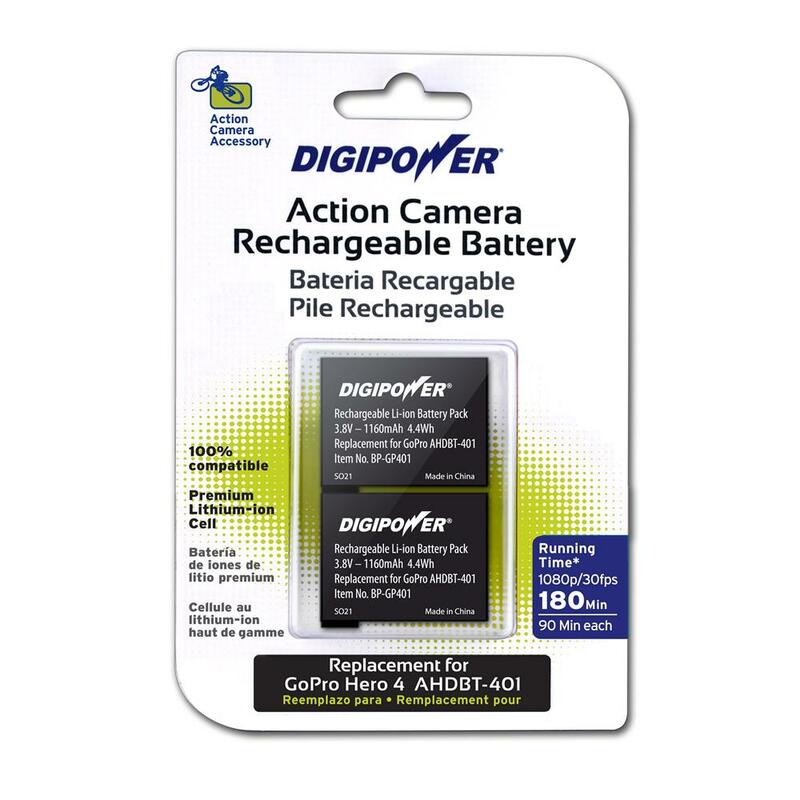 Digipower Re-fuel action camera rechargeable battery for the GoPro HERO4 Black and Silver Editions. Amazing run time on these replacement batteries for the GoPro HERO4 Black Edition and GoPro HERO4 Silver Edition cameras. You get two 90 minute rechargeable batteries that replaces the AHDBT-401 battery that comes with the GoPro 4 Black and Silver action cameras. These batteries are 100% compatible with the GoPro HERO4 action cameras. Premium lithium-ion cell battery. These are a great GoPro accessory to go along with your favourite HERO4 action camera. Come with a 1 year warranty. *Pictures per charge and running times are determined by average camera use, camera model and camera features.